﻿﻿﻿﻿﻿﻿﻿﻿﻿﻿﻿﻿Amber Nowak, a student at Columbia College–Elgin, recently received the Fox Valley Society for Human Resource Management Scholarship. The Illinois Fox Valley Chapter of SHRM established the scholarship in the department of business administration for students with a major in human resources management or in a human resources degree program. 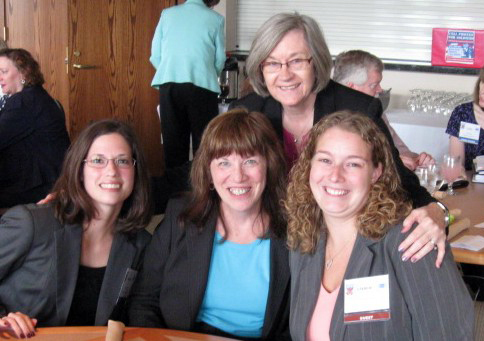 The Illinois Fox Valley Chapter established the gift as a one-time scholarship fund in the amount of $500 for 2010. Students attending Elgin Community College or Columbia College–Elgin were encouraged to participate. 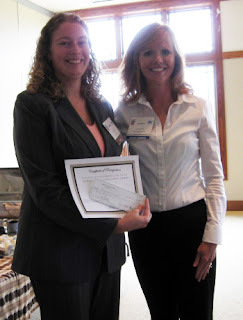 Nowak received the scholarship at the October SHRM meeting. SHRM representative, at the Sept. 16th SHRM meeting.